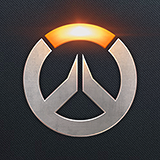 Forums General Discussion What kind of pet would each OW hero have? What kind of pet would each OW hero have? Zarya would have big fuzzy Siberian bear. D.Va would pretty obviously have a bunny. I can imagine roadhog with a tiny chihuahua that he loves so much. I think he would have a miniature pig. I think he'd have a kunekune. You mean he DOES have one, cause you made him have one. Admittedly, I had to google this. Hiii Mr. Chu!! Thanks for replying to a thread that has nothing to do with bettering OW, while you ignore the countless ones that do. Great relations, Michael Chu. It has a cute little furry potato-shaped body tho. Looks like it's a specific kind from NZ, which makes sense. Thanks for replying to a thread that has nothing to do with bettering OW, while you ignore the countless ones that do. Yea, because the lead writer is going to be able to address those pressing concerns about buffs and nerfs. The devs have been quiet, it's bothersome sure, but how exactly are you expecting the lead writer to do anything with bettering OW that's not story related? Genji would have a parrot. Winston probably has an ant farm. Which is unnecessary because there's probably a whole civilization of ants at Girbralter that's just gorging itself on near-empty peanut butter jars. You're the exact reason why they don't respond. No matter what they say people always get pissy. Let the dude have some fun. Definitely! Those pigs are adorable! Party-pooper. Let the man have some fun, sheesh. Symmetra would have a bowl of lukewarm water; the perfect pet. It doesn't need food, it doesn't need to urinate and the likes, it doesn't need constant attention and it doesn't make a hell lot of noise when not getting said attention. I'm saying this as a proud owner of a bowl of lukewarm water.